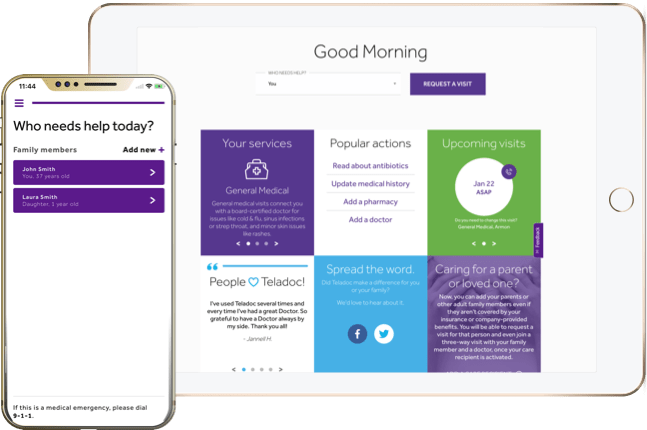 Best Doctors, part of Teladoc, offers an in-depth review of an existing mental health diagnosis and treatment. It’s completed virtually so members never have to leave the comfort of their own home. All of our clinicians are licensed in the U.S. to provide behavioral healthcare. Teladoc ensures seamless clinical integration between the primary care physician, Behavioral Health Navigator, and mental health providers. Teladoc was the first telehealth company to receive NCQA certification. "My psychologist taught me how to live with my anxiety. She said I didn’t need it [antidepressants] and I didn’t."